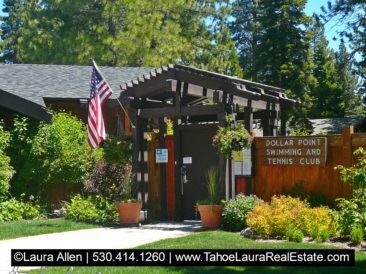 The Dollar Point single family neighborhood is a lakeside subdivision of higher-end luxury mountain lakefront properties, homes, and cabins. Most of the houses are larger mountain-style homes. It has a number of newer, high-end, luxury properties, along with a variety of mountain style properties and a few smaller cabins. Approximately half of the houses in the subdivision have either a flat, or relatively flat lot and/or driveway. Optional Home Owners Group providing members with access to recreational amenities. 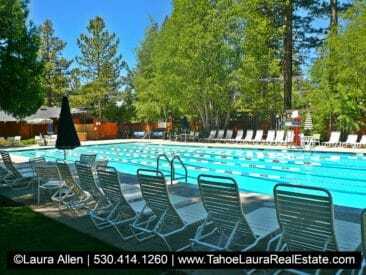 Centrally located providing easy access to Alpine Meadows, Squaw Valley, Homewood, or Northstar ski resort areas. Dollar Point has approximately 569 single family residential parcels, of which, approximately 39 are lakefront properties. 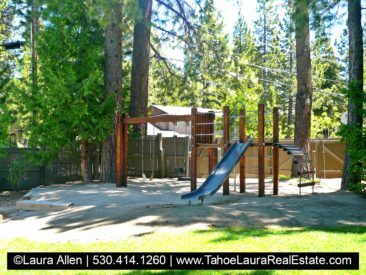 Approximately 40% of the homes in this subdivision have some sort of peek, filtered, lake view of Lake Tahoe making this a highly desirable area in North Lake Tahoe. The Dollar Point area is made up of single family home lots (including lakefront / waterfront lots), lake view, and mountain setting lots. 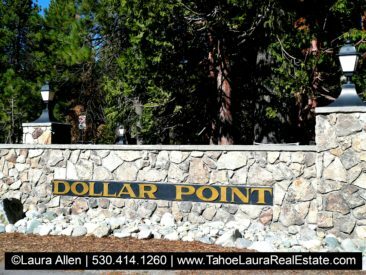 The Dollar Point subdivision is one of the more expensive locations on the North Shore of Lake Tahoe. One of the features that most Dollar Point homes have is the optional Dollar Point Association (DPA) membership. The DPA is an optional home owners’ association and their recreational amenities are designed to provide a resort-style experience. The Dollar Point Association (DPA) has two home owner amenity recreational areas. Membership into the DPA can only be gained through property ownership with in the defined Dollar Point subdivision. Dollar Point lakefronts, homes, and cabins range in price at the low end from the mid $800,000’s to just over $10 million in 2019. 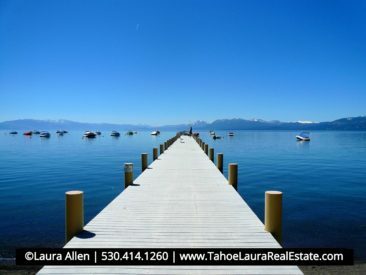 The selection of Dollar Point homes will vary from modest Tahoe cabins and mountain homes to multi-million dollar lakefront estates. The Dollar Point area is a favorite for second home owners and is a great place to live all year long! Mail Delivery via the US Postal Post Box System – Tahoe City, California located in the Lighthouse Mall at 850 North Lake Blvd. Mail is not delivered to homes on the North Shore, or West Shores of Lake Tahoe and can only be received at the Post Office. Garbage is picked up once a week. It is highly recommended that property owners install a “bear box” to house their garbage cans. 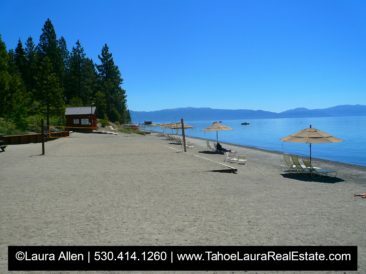 Sewer – All properties in the Dollar Point area must be tied into the Tahoe City Public Utility Department (TCPUD) public sewer system. Septic systems are not allowed in the Tahoe Basin area. Transfer fee of $2,500 plus a $35 Document Preparation Fee. Initiation Fee (not transfer fee): Property is not a current member the DPA so new owners would pay an initiation fee is $25,000. See HOA Buoy rules for more information on access and cost. Currently there are approximately DPA Members: 524 members (homes/parcels) that have chosen to participate in the optional DPA program. 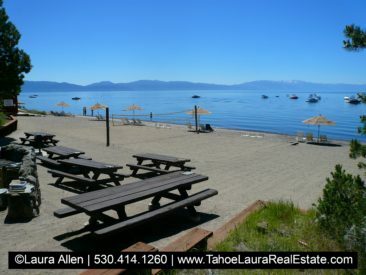 Nearest gas stations – Tahoe City! 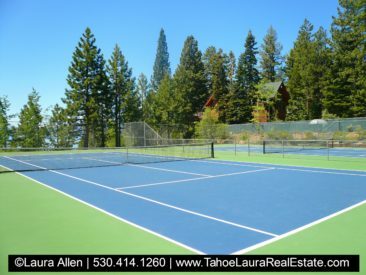 Need more help in trying to figure out your Dollar Point – Lake Tahoe home buying options? Do you want help figuring out which neighborhoods and locations will best meet your individual needs? Call me at 530.414.1260 and I can help you find the right place to buy!